Sometimes you just want a nice, subtle polish that is easy to paint and just plain hassle free. I had this particular urge a couple of weeks ago, so I looked at all my cream polishes, saw this baby and realized I've never painted this on my nails after buying it about 6 months ago! 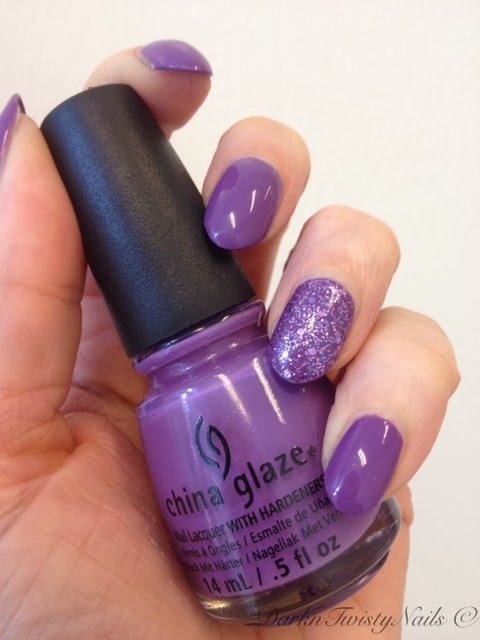 China Glaze Spontaneous is way to pretty to just stand there, so on my nails it went! It's a gorgeous midtoned purple. 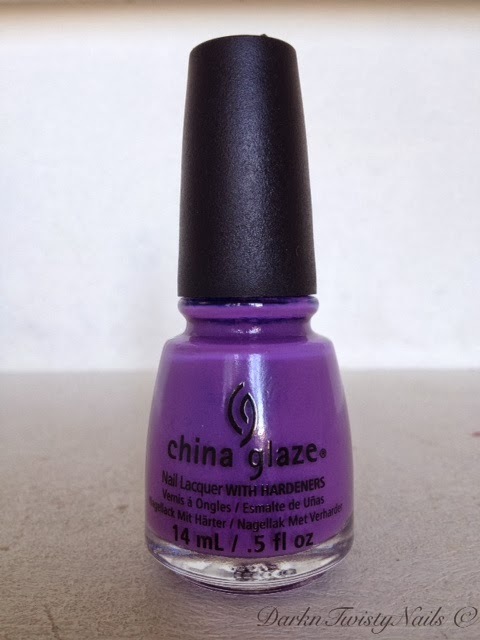 It flows on the nail easily, is opaque in 2 thin coats and dries fast, so a pretty perfect cream. I love the color. 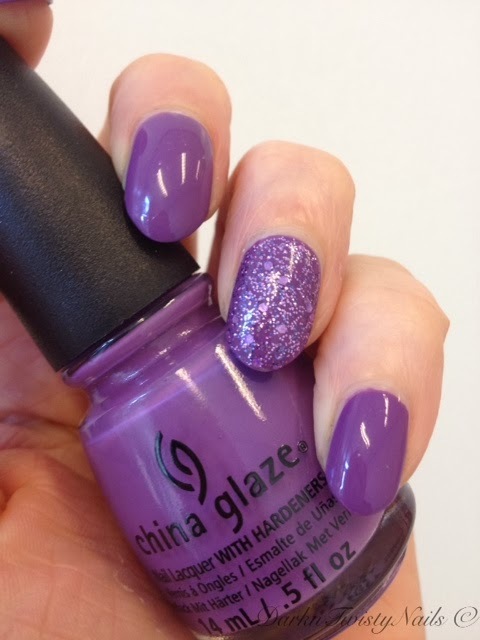 Purple creams are tricky for me, because if they lean too pink, I look like dead walking, but because this has a blue undertone, I am totally able to pull this gorgeous color off! Of course I couldn't leave it alone and had to add some sparkle, so I painted my accent nail with Sephora by OPI Sugarplum fairies gone wild. It's the only Sephora by OPI I own and I mainly wanted it for its name, but the actual polish is really nice too. What's your favorite purple and do you prefer pastels or darker purples? I can't get away with pastel purple either, but this one works really well! Metallics make me look sick, such a shame, because some are really nice. 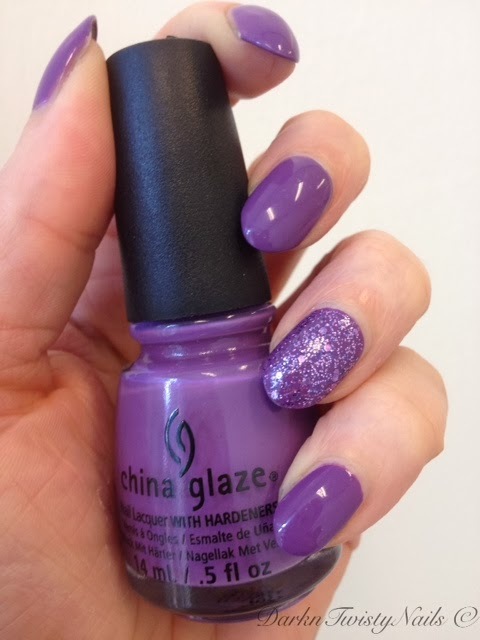 This is one of the few purples I actually wear and it's just so versatile. Beautiful! I dont want to say purples dont work for me but I never resch for them really. I love purple! I guess I would say I have more dark purples. I don't tend to wear this kind of purple either, but there is just something about this one that makes me love it!